Men of CCI – We are changing things up and heading outdoors for a fun “breakfast-brunch” quarterly get together! Come join us at Exall Park on Saturday, May 4 at 10am for fun, fellowship and games. This is a great time to connect and grow as God’s men, so be sure to invite a neighbor, co-worker or friend! Also, bring a lawn chair or two if you have one to share! We will be hearing from Christian Meymarian, who is a vital part of CCI and is passionate about being salt and light at home and in the workplace. He will be speaking to us about the significance of our identity as Christian men, where we derive it from, and how it impacts us and those around us. 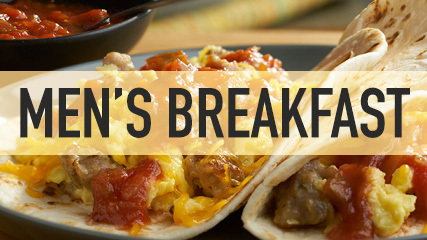 Please register so that we will have plenty of breakfast tacos!